For a truly luxurious shower, Manhattan Showers are the perfect choice. Manhattan Showers is the UK’s foremost manufacturer of showers and shower products. A long-established and well-reputed supplier of high quality solutions for the shower, Manhattan shower screens can provide you with a stylish and practical shower solution, whatever the size or style of your bathroom. Whether it is an ultra-modern wet room or a practical and busy family bathroom - Manhattan Showers has the solution. All Manhattan shower enclosures in the M3 range are designed and manufactured in the UK to the strictest of British and European guidelines EN12150-1 – for added peace of mind. 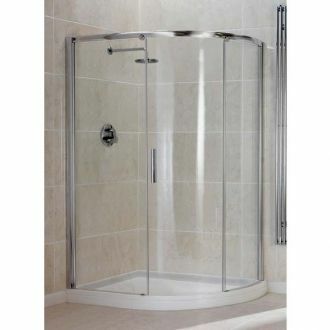 Our range of Manhattan shower enclosures and Manhattan shower screens is wide and impressive. With a wide range of Manhattan shower doors to from, including quadrant or offset quadrant shower enclosures, sliding shower enclosures, folding shower doors, hinged shower doors and walk-in shower enclosures, you will be spoilt for choice when searching for a Manhattan shower door. Whatever your taste, there is a Manhattan shower enclosure or Manhattan shower screen that will suit your bathroom perfectly, and with the best in design, materials and craftsmanship, your Manhattan shower will be an impressive combination of good looks and unbeatable performance and durability. Since 1991, Manhattan has committed its expertise in technology and craftsmanship to provide showers of the highest calibre. With a dedication to providing superb functionality and elegant design, it has established itself as the UK’s foremost manufacturer of showers and shower products through its meticulous attention to detail and flawless quality. Using the highest quality materials, Manhattan showers are built to last and offer an exceptional choice of styles and enclosures throughout their range. A long established, well reputed supplier of high quality solutions for the shower, Manhattan showers can provide you with a stylish and practical shower solution, whatever the size or style of your bathroom. Whether it is an ultra-modern wet room or a practical and busy family bathroom – Manhattan Showers can provide a solution. 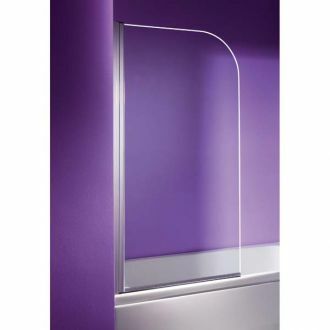 Our range of Manhattan shower enclosures and shower screens is wide and impressive. The range offers a wide variety of intelligent, modern designs built to last through superior craftsmanship and an unrivalled commitment to quality. Whether you’re looking for quadrant or offset quadrant shower enclosures, sliding shower enclosures, folding shower doors, hinged shower doors or walk-in shower enclosures, Manhattan showers boasts a mix of styles, sizes and shapes ensuring that whatever your requirements for style and space Manhattan can offer an ideal solution, sure to exceed expectations. EasiClean acts as a barrier to oils, dirt and grime, preventing the build-up of unwanted contaminants on the glass surface which so often ruin the appearance of showers. The unique protection provided by EasiClean is applied to all Manhattan showers at the point of manufacture, at no extra cost, eliminating the need to waste time, money and hard work on keeping your shower clean. If you are looking to add a touch of ultra-modern sophistication to your home with a stylish wet room, we can offer a wide range of Manhattan shower enclosures to complement the style of your wet room perfectly. Whatever your budget or preferred style of shower, Manhattan Showers will have something that is perfect. You can choose from corner shower enclosures, corner shower enclosures with an end panel, corner shower enclosures with a return, cubicle shower enclosures, hinged shower enclosures, linear shower enclosures and linear shower enclosures with a with double return. Manhattan Showers’ new Duralite shower trays are constructed from a super strong, pure acrylic backed resin which means they are an innovative and durable companion for your Manhattan shower screen. Each Duralite tray has a contemporary smooth tread which matches the needs of the modern consumer, as well as featuring Manhattan showers’ award-winning concealed waste that drains water away at an impressive speed of 24 litres per minute. There are plenty of great reasons to choose a Manhattan shower enclosure, from superior quality to cutting edge design. Manhattan shower screens are designed to perfectly match your every need, whether it is preparing for the day ahead or relaxing and unwinding in the evening. With just the right balance of innovative design and stunning aesthetics, a Manhattan shower will offer you the best of both worlds, bringing both practicality and beauty to your bathroom or shower room. All Manhattan shower screens come with a comprehensive guarantee to give you added peace of mind. Every M3 Manhattan shower screen purchased together with a Duralite tray comes with an impressive lifetime guarantee to ensure that you receive a lifetime of luxurious showering experiences with every Manhattan shower purchase. Every Manhattan shower screen comes with a life time guarantee to provide you with extra reassurance that your Manhattan shower will provide you with years of trouble-free showering pleasure as standard. Your bathroom is the hub of the house, and very often, the most important part of that hub is the shower, Manhattan understands this perfectly. It is where you revitalise and refresh in the morning, and where you relax and unwind in the evening. Therefore, it is important that you have the best experience possible from your shower. Manhattan strives to provide first-class showers to ensure that each and every shower Manhattan provides you with is as amazing as it can be – whatever your budget or style.